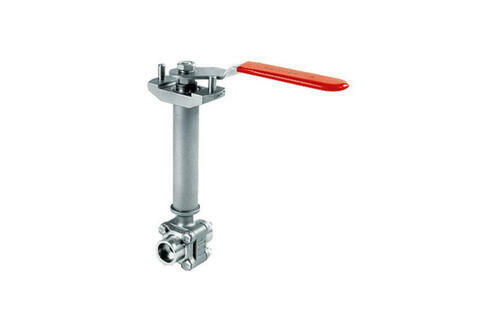 The Flowserve Worcester C4, C44, C51 is a 3-piece and flange cryogenic ball valve specifically designed for use on liquid gases such as Nitrogen and Oxygen. High-performance cryogenic shutoff valves from Flowserve Worcester Controls are for intermittent and continuous flow applications with temperatures to -425 degrees Fahrenheit. Worcester Controls' complete line of cryogenic valves, backed by years of successful field experience, incorporates superior technology and design. This means automatic or manual control of cryogenic fluids with no contamination, no fluid degradation, and no waste while assuring safety for workers, property and the environment. The wrong specifications here can turn an inferior valve into a time bomb. Tough applications demand Worcester Controls' special service cryogenic valves. Flowserve Worcester Controls cryogenic valves are available in four basic body configurations: C44 (1 /4"-2"), C44 Diverter (1 /2"-2"), C4 Wafer (3"-6"), and C51 Flanged (3"-6"). 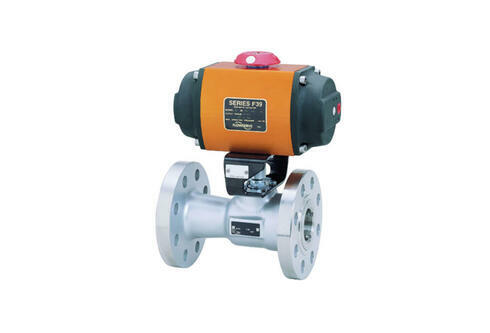 Flowserve Worcester Controls Series 44 three-piece ball valves have been for many years the most respected ball valve design in the industry. Designed to ANSO B16.34 specifications with advanced seal technology and body mount bracket design means a very strong, tough valve. A valve that can handle pressure and unforeseen piping strains with a stem seal that extends operational cycle life and a standardized overall design that keeps parts inventory to a minimum. Then there's documentation as the B16.34 means complete traceability of assembly and testing procedures, heat codes, and foundry identification. Full CMTRs (Certified Material Test Reports) on pressure vessel parts are optionally available. 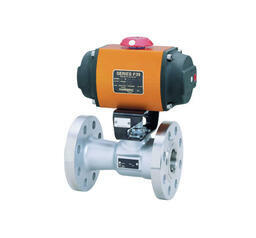 Valve identification is provided on a stainless steel nameplate meeting MSS SP-25. An improved stem seal design, consisting of live-loaded PEEK and Polyfill® thrust bearings and seals, significantly increases valve cycle life over conventional ball valves and extends the time between adjustments. In manual valves, the two spring washers are compressed by two retaining nuts. A single Nylon-insert locking nut and four spring washers are used on automated valves. Twin-piston, double rack-and-pinion, & designed for high performance, the F39 can be used on a variety of quarter-turn valves in a wide range of applications. 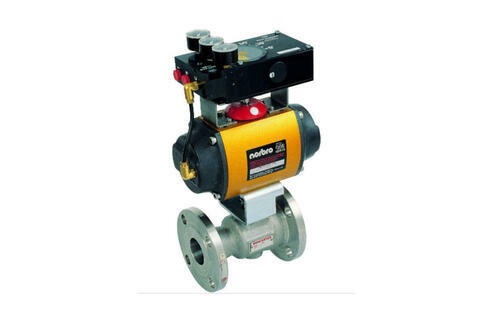 The Flowserve Worcester Controls Series F39 Pneumatic Actuators are a dual-piston design for compactness, highest torque output, minimal air consumption and even weight distribution on the valve stem. 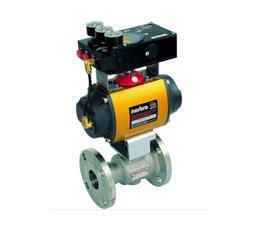 They provide high cycle pneumatic power for on/off or throttling control of rotary valves and dampers. The Series F39 Pneumatic Actuator design is based on the opposed rack-and-pinion principle utilizing piston guide rods to guarantee part alignment. The fully supported guide rods minimize friction and wear between the pistons and the body bore. 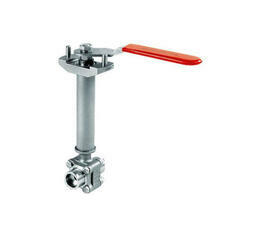 The CPT Floating Control Ball Valve is a compact rotary control valve in 3-piece and flanged design offering bubble-tight shutoff & throttling control. After years of research and performance evaluation under severe throttling services, where precise computer control was required, Flowserve Worcester Controls has developed the CPT characterized seat control valve series. These valves exceed the performance features of traditional linear valves, as well as that of a segmented ball and eccentric plug designs. 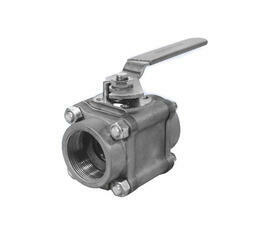 The CPT characterized seat control valve is a ball valve, that's where the similarity ends. The control capacity is defined by a revolutionary seat technology. These seats consist of a sintered stainless steel material that has been fully impregnated with TFE or Graphite, then laser-cut to a customized shape to best suit the individual application. Combine these capabilities with Flowserve's high-cycle pneumatic, electric, or electro-pneumatic actuators, positioners, and accessories, and you have a control valve package that will meet the performance capabilities available with computers and PLC controllers. Founded in 1955, Worcester Controls supplies valves throughout the world for virtually any application. 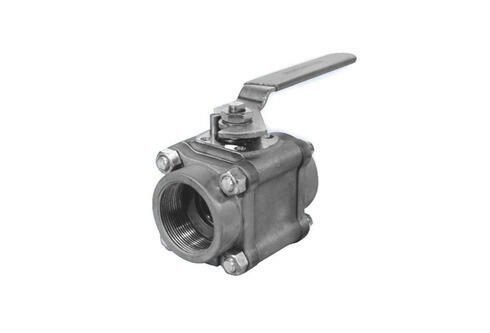 These include standard flanged ball valves, ANSI and DIN specifications in reduced and full bore, three-piece valves for cryogenic, high pressure, steam, diverter or sampling duty, high integrity valves, multi-way designs, modulating controls or customized solutions.